Cody Johnson has taken the Texas dance-halls by storm with his band's unique blend of Country and Rock. Cody won the Texas Regional Music Awards as 'New Male Vocalist of the Year" in 2011. This free summer concert series takes place at the beautiful McKelligon Canyon Ampitheatre! Come out for a relaxing night full of music and the cool canyon breeze. Tonight's music is provided by Brown Betty. This popular free concert series provides a casual way to experience some of the best established and upcoming local bands. This friday will feature the "Chicago" tribute band Windy City. Oscar winning actor Al Pacino will perform an intimate evening detailing his illustrious career, including such iconic films as The Godfather, Scarface, Scent of a Woman and Dog Day Afternoon. Mezzo-soprano Natalie Bancroft is the quintessential beautiful Diva who imbues her vocals with dramatic force. Classical & jazz pianist Raimondo Campisi is the archetypal musical artist with a joie de vivre. 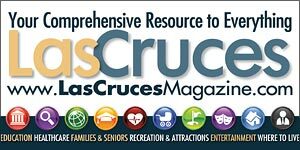 The City of El Paso Parks and Recreation Department will host the FREE Melodies at the Park Summer Concert Series. Tonight Midnight Mist will perform at the San Jacinto Plaza located downtown at 111 Mills St. This free outdoor concert series features local and international musicians performing a variety of different styles of music. Tonight's performer from El Paso is The Big Easy (Motown). Texas-based singer-songwriter Mike Kelly does cutting edge country music that crackles with contemporary vitality yet is rooted in songwriting with feelings and experiences that everyday people know and can relate to. This free summer concert series takes place at the beautiful McKelligon Canyon Ampitheatre! Come out for a relaxing night full of music and the cool canyon breeze. Tonight's music is provided by The Vibe. This popular free concert series provides a casual way to experience some of the best established and upcoming local bands. This friday will feature the Bachata sounds of La Guira. Two of the best in contemporary jazz touring together for the first time. Legendary saxophonist David Sanborn and favorite contemporary jazz multi-instrumentalist Brian Culbertson co-headline this nationwide tour. A great dose of pure country. John Anderson has charted more than 40 singles on the Billboard country music charts including five number one hits. His smash hit "Swingin'" scored him two CMA awards. This free outdoor concert series features local and international musicians performing a variety of different styles of music. Tonight's performer from El Monte, CA is Mariachi Reyna de los Angeles (Mariachi). 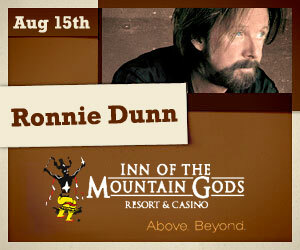 Known for being half of the duo Brooks & Dunn, Ronnie began working as a solo artist in 2011. He released his self-titled debut album in June of 2011, reaching top 10 with its lead-off single "Bleed Red". This five-piece act of Austin natives combines the gutsy indie vibe of the modern central Texas music scene with the longing strains of time-honored Texas folk. Wheeler Brothers are one of the most exciting bands breaking out today.. This free summer concert series takes place at the beautiful McKelligon Canyon Ampitheatre! Come out for a relaxing night full of music and the cool canyon breeze. Tonight's music is provided by Fungi Mungle. This popular free concert series provides a casual way to experience some of the best established and upcoming local bands. This friday will feature the Spanish Rock and Baladas of Reilikia. Celebrating the King of Rock & Roll's life and career during Elvis week at Inn of the Mountain Gods. Dinner starts at 6:30pm, followed by an Elvis Tribute at 8:00pm. 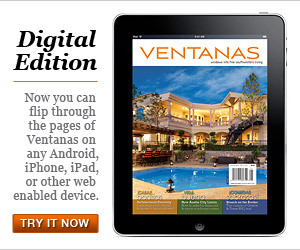 Las Vegas Elvis Impersonator and look alike Justin Shandor. Annual touring rock extravaganza featuring rock titans Evanescence, Chevelle, Halestorm, Cavo and New Medicine. Evanescence has sold more than 25 million records worldwide with more than 10 million in the U.S. alone. 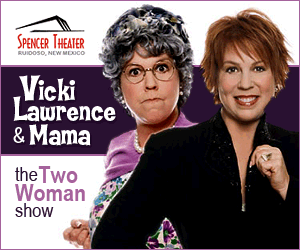 "Vicki Lawrence & Mama: A Two-Woman Show," a multi-media stand-up comedy production, stars Lawrence in the first half and the support-hose-wearing, sassy senior citizen Mama in the second half. The City of El Paso Parks and Recreation Department will host the FREE Melodies at the Park Summer Concert Series. Tonight Zulema Villela & Mariachi Cuauhtemoc will perform at Marty Robbins Park located at 11600 Vista del Sol Dr.
Their music speaks for itself. Dusty Low is a four piece alternative country band that just released a new album "Go For Broke" this summer. An eclectic collection of music that ventures into the realms of rock, folk, and jazz. 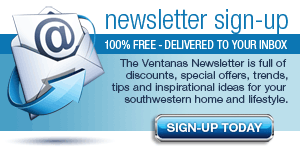 This free summer concert series takes place at the beautiful McKelligon Canyon Ampitheatre! Come out for a relaxing night full of music and the cool canyon breeze. Tonight's music is provided by Windy City. Malo is an enduring Latin rock band, who's hit song "Suavecito" reached #18 on the Billboard charts in 1972. Tierra is a Chicano band from East LA, who's hit song "Together" reached #18 on the national charts in 1980. Best known for their '70s southern soft rock classic "Let Your Love Flow," the Bellamy Brothers are the most successful duo in country music history, consistently climbing the the country charts. This popular free concert series provides a casual way to experience some of the best established and upcoming local bands. 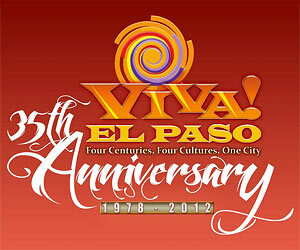 This friday will feature the Pop and Opera sounds of the El Paso Opera. Le Chat Lunatique has an addictive sound they call "filthy, mangy jazz," a combination of Gypsy Swing, Western Swing, and Latin Rhythms that makes you want to smoke and drink too much – if only you could get off the dance floor. Emmy Award-winning actor Jeffrey Tambor presenst a workshop entitled "Performing Your Life," in which he explores the art and process of performance with insight into human nature and his professional experience. Five talented singers belt out songs from the worlds of Broadway, opera, country and the pop.for a special one night only fundraiser for American Southwest Theatre Company's outreach and guest artist programs. Imagine The Beatles playing in concert with a symphony orchestra. What would that have sounded like? 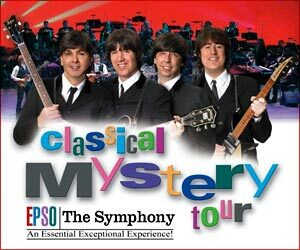 Find out for yourself when Classical Mystery Tour performs live in concert backed by the El Paso Symphony Orchestra. Uncle Lucius takes Rock and Roll from its deep roots and pushes it onward, putting their own honest interpretation on the essential elements of R & B, Blues, and Country. Their their live shows are a sacred and energetic experience. This free summer concert series takes place at the beautiful McKelligon Canyon Ampitheatre! Come out for a relaxing night full of music and the cool canyon breeze. Tonight's music is provided by Dirty River Boys. Las Cruces native Bri Bagwell is real country music, and what country music should strive to be. She's knows how to gain a crowd's attention using her beautiful voice and singing songs she wrote herself.